Nia hao ma and g’day mates! This week, we’ve got a Map of Asia & Australia for you to download. This complements the Map of North America, Map of Europe, and Map of Central & South America that we’ve offered you earlier. I just started with Visio and thought I had to do it (=lager maps) all on my own, when I stumbled over this side. (I was looking for the missing country-shapes). Good work, thanks a lot! Did you try the right-mouse menu on the shapes that you have? There are options: Arrange To Shape and Arrange To Page that put the shapes together automatically. I’m not sure if the various separate maps work together or not, and I think I broke a few of the shapes when I chopped off parts of the countries (like all the northern islands in Canada and Russia. I too am dismayed at the lack of India & China shapes. Any chance you’ll be posting a complete ‘world map’ anytime soon? Will a donation help? Thanks for this map,but can u post India (with detail state) map. Check back once in awhile. I’ll add more maps when I get time. Thanks for creating this, as I really needed these countries. Glad you found these countries of Asia & Australia Visio shapes useful! MS does do business in these countries, which is why they didn’t add the shapes. They didn’t want to get sued over stubborn border-politics issues. Not that you need to shed tears for Microsoft, but I can see how it gets hard being the Big Man on Campus. Every little move they make becomes a potential “deep pockets” lawsuit. By the way, here’s a Wikipedia definition of BRIC Countries, for those who are interested! One of these days, maybe I’ll get a chance to fix it. Do you have or do your know where to get ‘Middle East’ countries? I have used your Europe Map which goes Eat to Turkey, and here the Asia goes west to Afganistan on the south side. 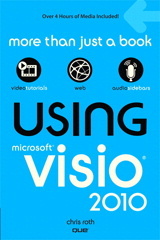 You can import that into Visio and get the countries. You won’t have the extra treatments that might shape has, but it should do in a pinch. Nice work. any plans for the map of Africa?